Good times in Mexico City. 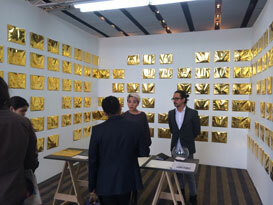 MEXICO, D.F.– Last week art world snowbirds descended upon Mexico City for the biggest Latin American art fair outside of Art Basel Miami Beach. 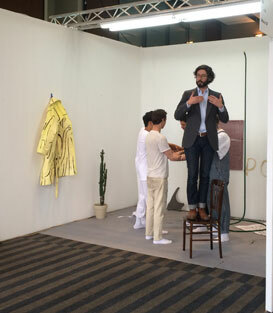 While ZONA Maco, now in it’s 11th year, is obviously the big fish, 2014 also saw the launch of MACO’s first satellite, the ambitious Material Art Fair. We couldn’t stand the idea of missing out, so WTT? 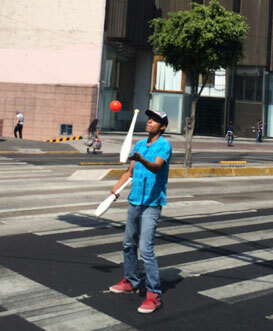 headed down to Mexico City to experience the fair scene in DF first hand. Armed with recording equipment and having just watched an Anthony Bourdain program on Mexico City, we were off. The colonia we stayed in, Condesa, was just west of the center of the city and felt like a way cooler Logan Square. Nice apartments, lots of cute cafes, tons of bars and restaurants. 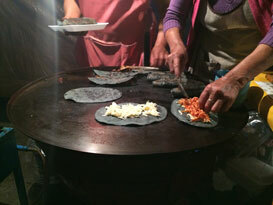 Everyone, including Bourdain, told us that tacos al pastor were the best. We ate like a million immediately at a place closest to our airbnb. We briefly made it to the opening of Material Art Fair and after a comically unsuccessful attempt to go to the after party we ended the night at a dank little bar with heavy red curtains for doors called BÃ³sforo. First up. MACO, the monolith, was just that. It featured all of the usual bells and whistles: a massive convention center, an artsy partnership, a myriad of sponsors and all of the regulars. MACO also wins the award for worst branding and website possibly ever. Finally, something that even I couldn’t kill in the design section at MACO. To be fair to the fair, we did discover a couple of sweet Mexican galleries: O.M.R., Kurimanzutto, LABOR and House of Gaga. 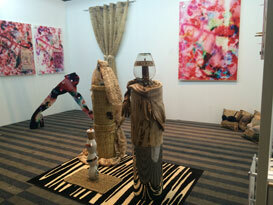 Apart from the local galleries, Nuevas Propuestas, the smaller single artist booths were the most interesting. 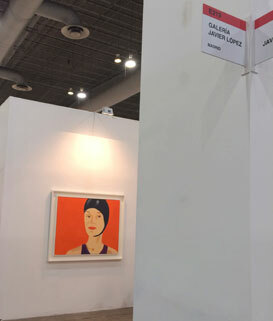 Featuring younger artists and more comprehensive views, we spotted work by one of our fav Miamians, Leyden Rodriguez-Casanova, at Alejandra von Hartz’s booth. 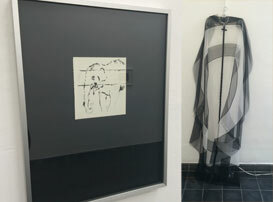 Rodriguez-Cassanova’s precise assemblages of screens, 2×4’s and vertical blinds felt oddly appropriate in the setting of the hastily constructed booth partitions. 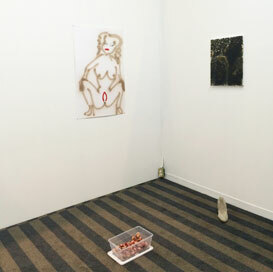 Work by Rodriguez-Casanova in the Alejandra von Hartz booth. 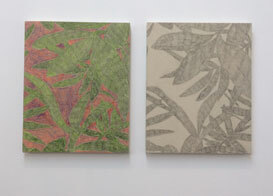 We also loved seeing new work by Leonor Antunes on view in the “curated” section, Zona MACO Sur, with Marc Foxx gallery. 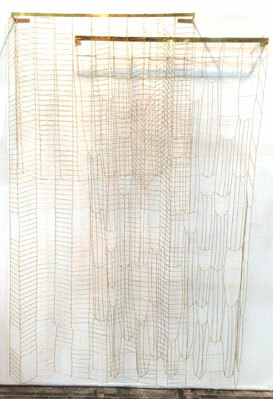 Attracting our attention through the labyrinth of drywall, her bronze hanging work based on Anni Albers’ textiles were just the right amounts delicate and gold. Bonus points for having the most impressive rigging in the fair. The scaffolding supporting the works were tied with thick black ropes around the convention center’s ceiling vents. Work by Antunes in the Marc Foxx booth. On the way out we met the charming father and son team at Odabashian, who were only the millionth people that day to advise us to visit the Museo Nacional de AntropologÃ­a. 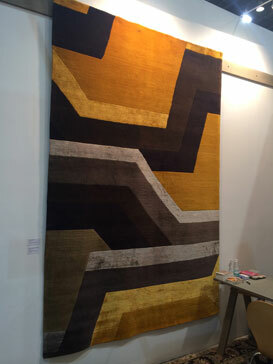 One of their rugs was even designed by Pedro RamÃ­rez VÃ¡zquez, the architect of the museum. In retrospect, you can totally see the repetitive polygonal facade of the museum in the gold and silver geometric pattern of the rug. Before leaving Condesa for downtown on Saturday morning we walked to House of Gaga in Condesa and then O.M.R. in La Roma just to the east. On the way we grabbed the most amazing cornbread I’ve ever eaten from a bakery/cafe called Maque. 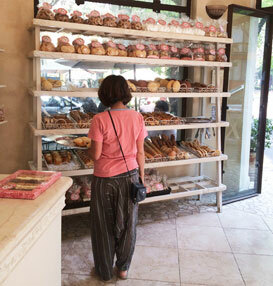 It was my favorite breakfast in DF and really cemented our love for our temporary home of Condesa. Over at House of Gaga, Emily Sunblad’s en plein air paintings of elephants and jaguars at the Santa Barbara Zoo were just as delightful as the cornbread. Less delightful were the various cuts of meat placed throughout the gallery, but I was really feeling the dresses and the casual floral still lifes in the back. 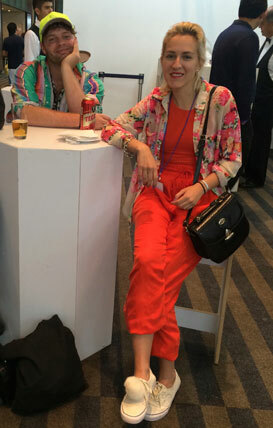 We also heard that musician Matt Sweeney performed with her at the gallery and was spotted at BÃ³sforo during the fair. If you’re interested, the performance audio (which was avaiable on USB’s throughout the gallery) is also on the gallery’s website. 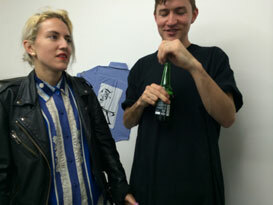 The exhibition was House of Gaga’s first in their new space, the paint was still fresh and made our head buzz. Work by Sundblad at the House of Gaga gallery. A wall of happiness at Maque. Facing the Plaza de Rio de Janiero and a gigantic bronze David replica, O.M.R. is easily the most grandiose gallery space I’ve ever been inside. Mexico City is terraformed and like many of the old buildings in DF, the luxurious old house is sinking back into the swamp. 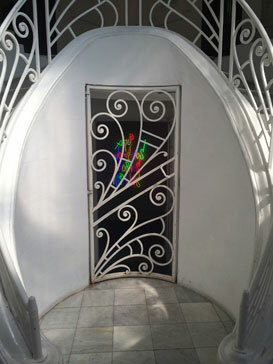 From the moment you open the iron gate into the ornate white staircase it’s on. 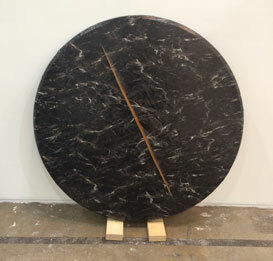 I’m convinced that the gigantic marble slabs rigged up by Jose Davila for his exhibition only enhanced the effect of the sloping floors and vise versa. Also on display were some wild old James Turrell work from his Mendota Hotel period in the early 1970s. Can I just live here already!? 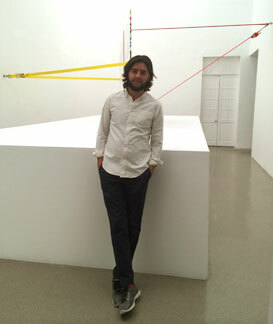 Cristobal Riestra in front of work by Jose Davila in the O.M.R. gallery. The main galleries were impressive but I was most partial to Pia Camill‘s work in the project space adjoining the main gallery. 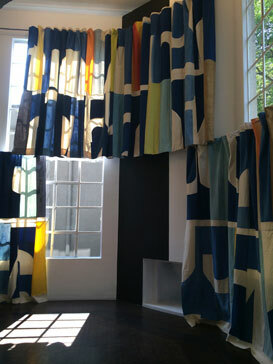 Her bright abstract curtains with sumptuous blues hanging in front of windows and throughout the gallery were complemented by the large shapely ceramic works and painted walls. Despite the massive population of the city, the art world in Mexico DF feels roughly Chicago-sized, so we weren’t too surprised to discover that Francisco Cordero-Oceguera, the artist behind Lodos ContemporÃ¡neo also has a gig as Camill’s assistant. The bookstore downstairs was pretty cute too. We found a kids book designed by Niki de Saint Phalle called Malo Malo that I only wish I had as a toddler. Diego Rivera, Mujer Recogiendo la Nieve, 1955. Courtesy of Diego Rivera Foundation. 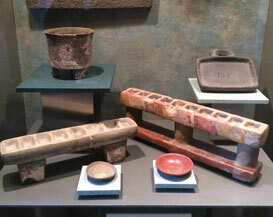 Our final stop before returning to Material was the oft recommended Museo Nacional de AntropologÃ­a. Totes worth it. From the VÃ¡zquez building to the Sone of the Sun and the countless artifacts and displays, you could spent an entire vacation in the museum. It was all pretty spectacular, even if we could only decipher about half of the label text. After drooling over the elaborate marble and molar sacrificial jewelry we took a walk through Chapultepec Park where the Museo Rufino Tamayo is also located. Antique artists pallets and tools. 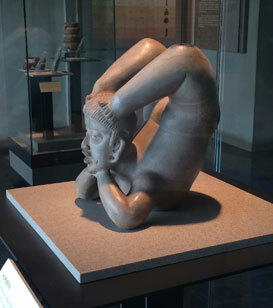 Just some morning yoga at the museo. Recreation of a mural inside of the pre-Colombian wing. 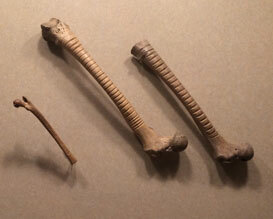 Bone instruments at the Museo Nacional de AntropologÃ­a. For the slightly more adventurous and internet savvy art enthusiast, Material Fair at the Hilton Reforma in El Centro was the place. The marked difference between the two fairs was palpable as soon as you made it to the entrance on the fourth floor. Far from a chore, Material felt like a hip family reunion with newly discovered extended cousins. Their signage was also way more to my liking. By invitation only, the fair was a tightly curated selection of 40 art galleries and alternative spaces from Mexico, the States and Europe. I like to think that this fair would have been Bourdain’s preference. While some familiar veterans like Andrew Rafacz (Chicago), Kinman (London), Clifton Benevento (New York), Michael Jon (Miami) and Green Gallery (Milwaukee) were present, the inclusion of project spaces (aka alternative spaces, apartment galleries, pick your favorite) such as Queer Thoughts (Chicago), Regina Rex (Queens) and Important Projects (Oakland) galvanized fairgoers and established fraternal bonds amongst the visiting artists and galleries. 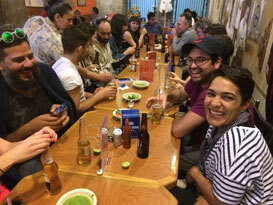 The anchors of Material were absolutely the Mexican project spaces (Yautepec, Otras Obras, NO Space, Neter, Lodos ContemporÃ¡neo, and more) who also acted as generous hosts and guides for the artists and gallerists visiting from abroad. 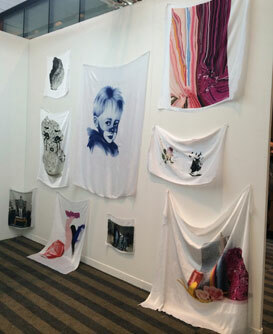 Chelsea Culp’s work inside the QT booth. QT booth on the opening night of Material. The success was largely due to the personal touch and attention of fair organizers, Daniela Elbahara and Brett W. Schultz, who also run Yautepec in the neighborhood of San Rafael. Drawing on relationships they established through visiting other cities and fairs, and the observation of like-minded spaces on the internet, the fair felt like more of an authentic survey than whatever Hans Ulrich Obrist thought he was doing with 89plus. I was feeling the crying payaso at NO Space’s booth. The always easy to spot Birk and Delmar at the fair. The project spaces, many showing outside of their own closet or living room for the first time, responded in a variety of ways. 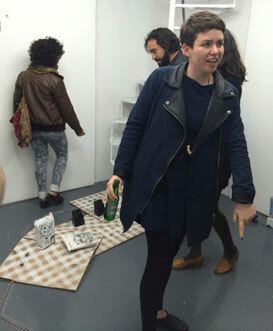 Some spaces, such as Important Projects, who’s own small residential Oakland space usually exhibits single artists, presented a group show which included DF locals and NO Space proprietors Debora Delmar Corp. and Andrew Birk. They also debuted print editions from Leisure Press, a project of Medium Cool’s Ria Roberts. Regina Rex’s booth was dominated by Black Beach, an impressive clay wall by Hugo Montoya, which was created on-site and continued to dry and crack throughout the duration of the fair. It paired particularly nicely with Michael Merck’s plaster casts of limited run fast food items and Alina Tenser’s jiggling vases in her Hip Openers video. Schultz participating in a trust exercise at Otras Obras. 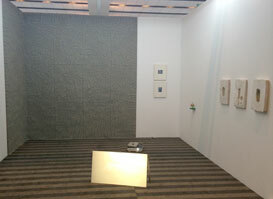 La_CompaÃ±Ã­a’s booth at Material Art Fair. 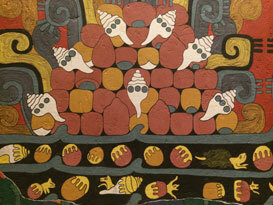 Header image is the beloved Museo Nacional de AntropologÃ­a. The Regina Rex booth at Material. Michael Hunter’s work at the Important Projects booth. 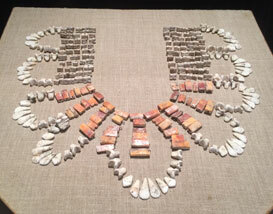 We would be remiss if we didn’t mention the closing party for Material, a showcase by Mexican label N.A.A.F.I. It more than made up for our first attempt at a Material Party. People were jammed packed into Bahia Bar, the music was good and loud and there was nothing else to do but dance. As you might expect, we spotted Schultz and Elbahara breaking it down right by the stage. The party was so fun we heard Sayre Gomez changed his flight back to the states just so he could stay at Bahia longer. Artists Chelsea Culp, Leonardo Kaplan, Sarah & Michael Hunter and Ben Foch on their way to BÃ³sforo. 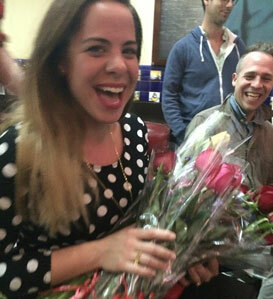 Elbabara receives all the flowers on a night out in Plaza Girabaldi. The Friday night Lodos opening for an exhibition by Important Projects’ Joel Dean and Jason Benson at their space in San Rafael only reinforced the camaraderie. On the corner across from the gallery I fulfilled my dream to eat blue masa tortillas like Anthony Bourdain did and it was divine. Back to the exhibition, it was based loosely on the last line of an Amiri Baraka poem, “Another Name for Liar,” and was crammed with the fanciful arrangements of the duos “post-studio” practice. 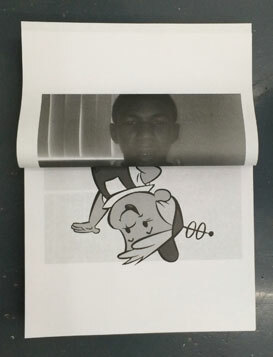 Dean’s “Poster Boy,” a double sided takeaway featuring Elroy Jetson and Trayvon Martin on the back was the most singular and powerful work in the exhibition. Other arrangements seemed to rely on an inner narrative and possible a speaker set up that wasn’t audible over the din of the crowd. That night we also got a chance to see the NO Space space, located in the dining room of Delmar and Birk’s super sweet apartment on the top floor of a nearby building. Delmar and Dean at the opening for “Another Name for Liar” at Lodos. “Poster Boy” by Dean at Lodos. Artist Carson Fisk Vittori in front of work by Jason Benson at Lodos. The point is that Anthony Bordain was right. Going to Material and seeing the impressive programming around the fair was like drinking a refreshing glass bottle of agua mineral. It also doesn’t hurt that Mexico, DF is probably the most captivating city in the Americas. It’s 100% nothing like people described it beforehand, except the water thing– that definitely seems real. Having visited though I’m not surprised to have met so many ex-pat artists living there. People are super nice and interesting, there’s an obscene amount of awesome wrought iron fences, brightly painted buildings, all kinds of old and new stuff smashed together, lots of trees and anything else you could ever want ever, and so much color. We left the way we arrvied, with tacos el pastor. Mexican food in Chicago is never going to be the same again. So… Next year in Mexico City? Hey! PS- Watch the podcast for my forthcoming interviews with Daniela Elbahara and Brett W. Schultz, Important Projects and Cristobal Riestra from O.M.R. 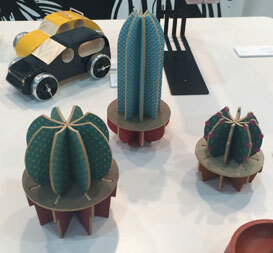 for more on Material Fair, MACO and why you should move to Mexico City. Hasta luego! 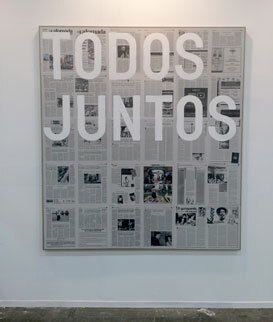 Todos Juntos by Rirkrit Tiravanija at MACO.